Sailing School: Learn to Sail and Improve! The Downtown Sailing Center is an accredited US Sailing school that provides courses for all sailing levels. Our comprehensive curriculum helps every student reach their full potential through a balance of structure and individualized attention. For those looking to customize, we provide Private Lessons & Special Events. Our Coaches teach part time at the Sailing Center and have other lives on the side. Many have been teaching for well over a decade, while we also have fresh faces coming up through the ranks. Our J/22s and Sonars are the perfect balance of comfortable size and nimble feedback. Adult learners and teens alike will appreciate this balance. Taste of Sailing and First Sail courses are taught in our comfy and roomy Sonars. Keelboat Lessons are typically taught in our nimble and responsive J/22s. US Sailing's "Basic Cruising" is taught aboard Captian Bob's personal MAKANI, a Bavaria 38 cruising sailboat with all the amenities. 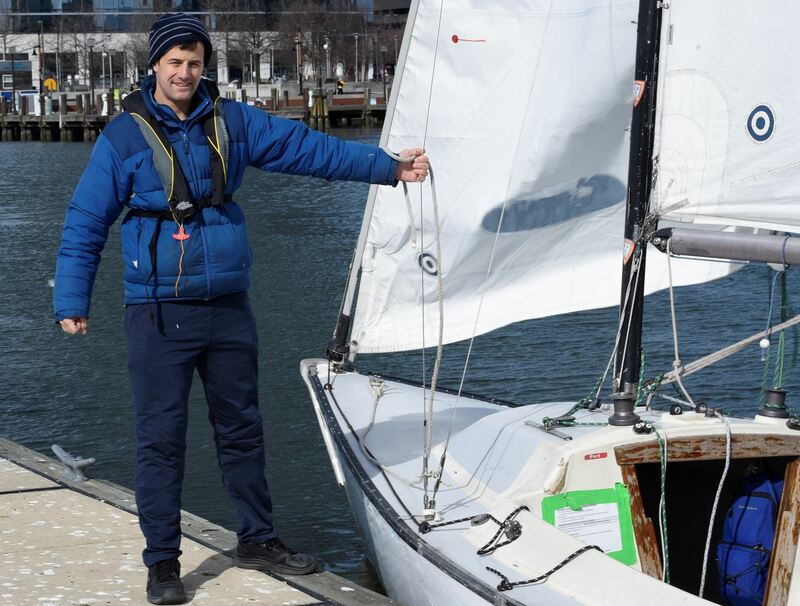 Private lessons are available for up to three adults and can be tailored to all levels, from beginner to US SAILING Basic Keelboat Certification. Private sailing lessons cost $60/hour for one adult plus $10/hour per for up to three people. There is a 2 hr. requirement for private lessons, but we recommend three hours for maximum educational benefit. You do not need to be a DSC member to take private lessons. If you have a special event in mind that you like to plan with the DSC, we can make it happen if you plan it with us in advance. Typically we ask for at least one month advance preparation for customized events!